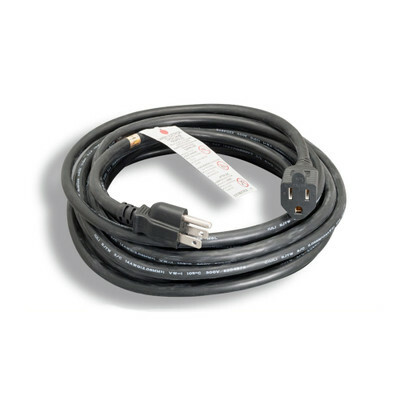 This heavy-duty 14 gauge(AWG) power extension cord is perfect for providing power to electric gardening equipment, power tools, yard decorations, and much more. SJTW-rated for use indoors or outdoors. The water resistant and flame retardant outer jacket is ultra flexible and abrasion resistant. This 25-foot cable's jacket is black in color and features nickel-plated brass blades to resist corrosion from the elements. Whenever you are providing power outdoors, be sure to select an SJTW-rated power extension cord. Every garage, shed, or workshop should have at least one extension cord.